We all have memories of our favorite toys. Sometimes it’s hard to point at just what made them so special. 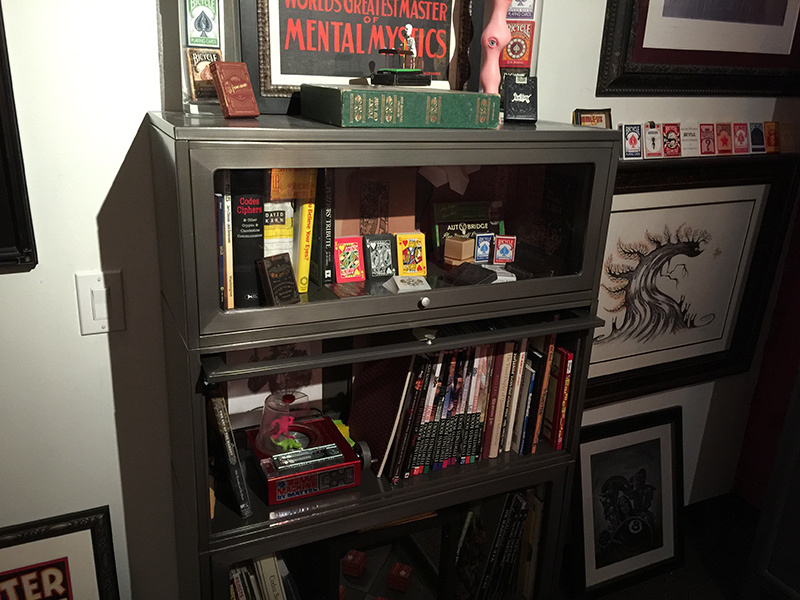 This one, though, is obviously dangerous. It could have been the smell of the moulded plastic. Perhaps it was the beautiful art on the box. Maybe it was simply the fact that we were transported to another place whenever we played. 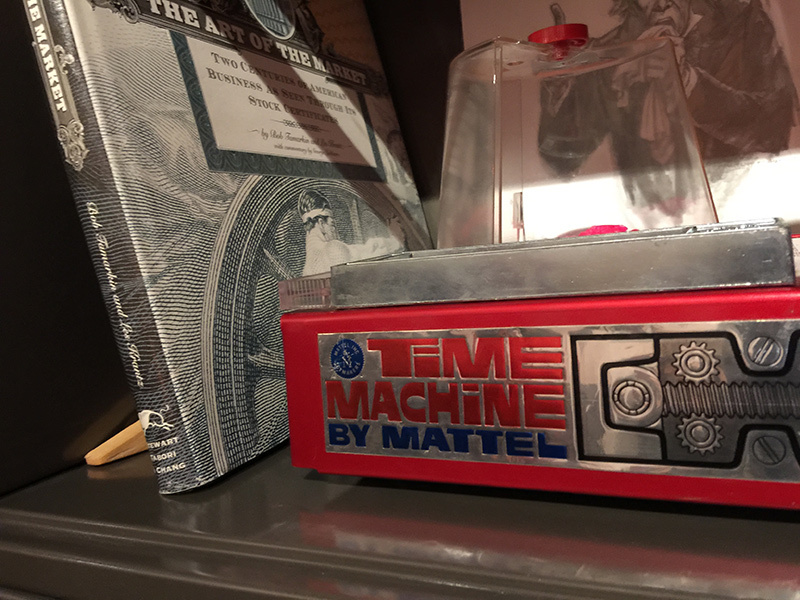 If I had to choose one toy from my childhood that amazes me as much now as it did then, it would have to be A Strange Change Toy by Mattel. Like me, this beauty was born in the 1960’s. Unlike me, it is built like a tank and will surely survive into the next century. The machine does exactly that, and with a healthy dose of danger! When plugged in, the Time Machine becomes hot…really hot. So hot you can smell it! There is a sense of respect that you immediately need to develop because one wrong move and it’s blister city. 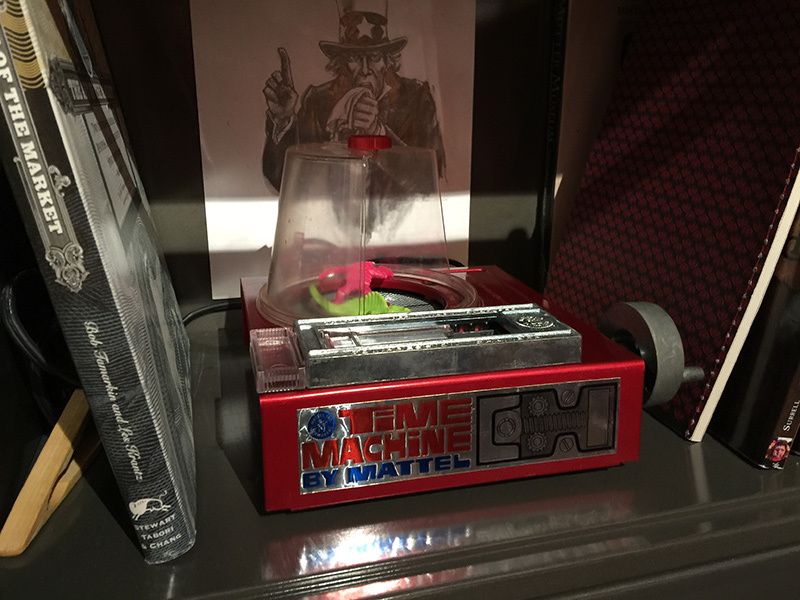 The toy is not only dangerous, but it is intelligent too. 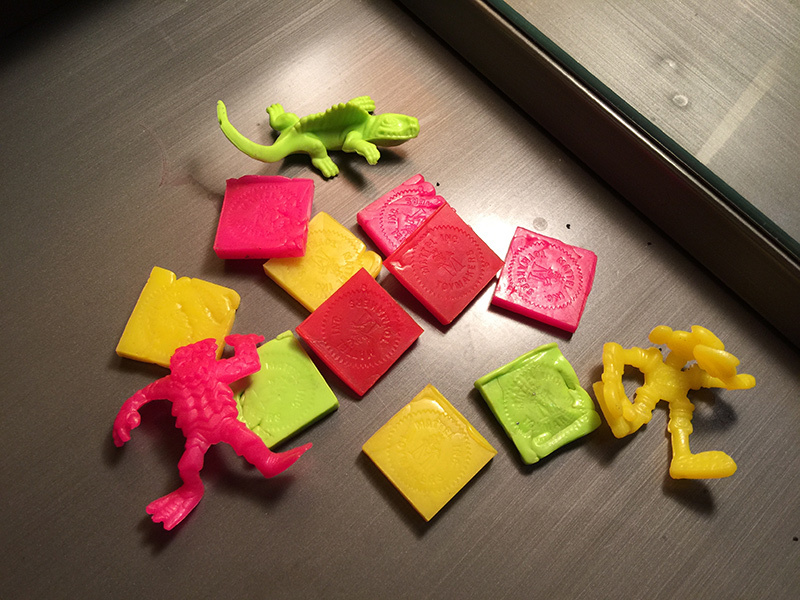 The Hasbro-stamped pieces of square plastic were exposed to electron beams that gave them memory of the shapes they’ll become when heated in the domed Expansion Chamber. The limbs of these delicate creatures have also been taught to not stick to each other when reforming even after decades of dormancy. 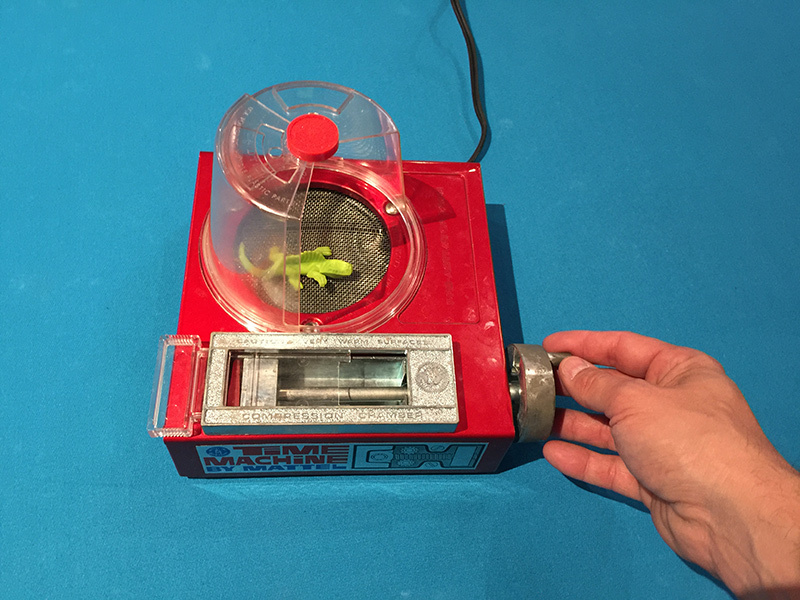 The best part of the toy (besides the danger of the molten hot creature that must be handled with special tongs once expanded) is that it can be brought back to its square, “capsule” state whenever you want. 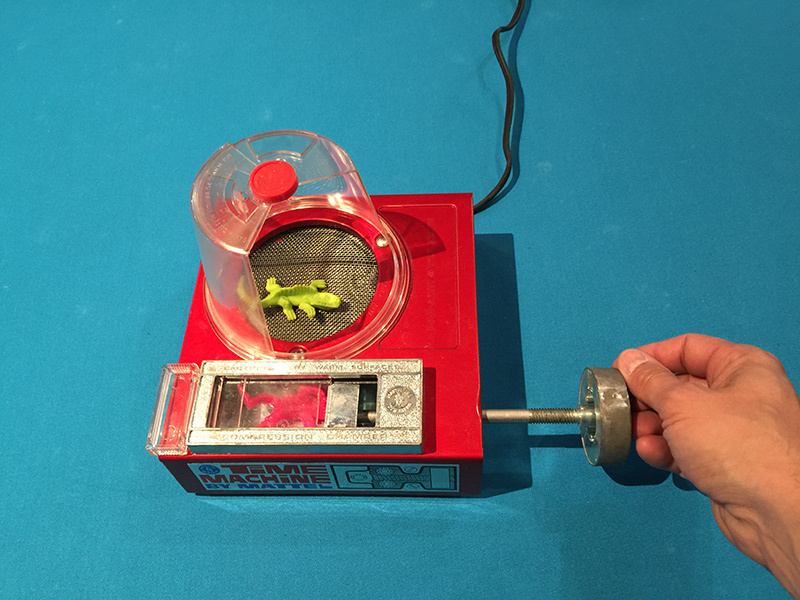 To do this, you only need to heat the creature once more and fill the “Compression Chamber” with it before turning the sturdy metal crank. As you turn with bone-crushing power, a block of metal slowly moves from right to left on the device, forcing the plastic to return to it’s former shape. There is a sense of satisfaction as the creature initially resists and eventually submits to your power. 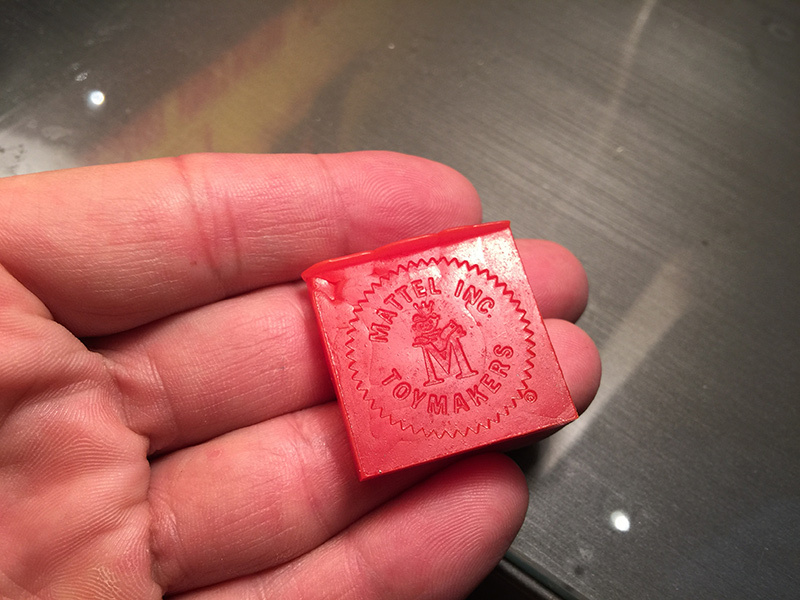 Once compressed, you can clearly see the Mattel inc. logo stamped into it. I get chills just thinking of how complete the experience of playing with this toy is. It is sheer cyclical beauty. When I first saw it, I couldn’t have been more than 9 years old. I was at a garage sale about a block away from my home and I didn’t know what I was looking at. It just looked like a bunch of Starburst candies at the bottom of a tiny popcorn popper. The guy who was running the sale was going away to college and he said, “Kid, if you buy anything here, make sure it’s this thing. You won’t be sorry.” I sat and watched in amazement as the creatures took form and back again. I was mesmerized and I was convinced! I rode my bike home like a maniac to get the $1.50 I needed to own this…this thing and by the time I got back to the sale it was gone. 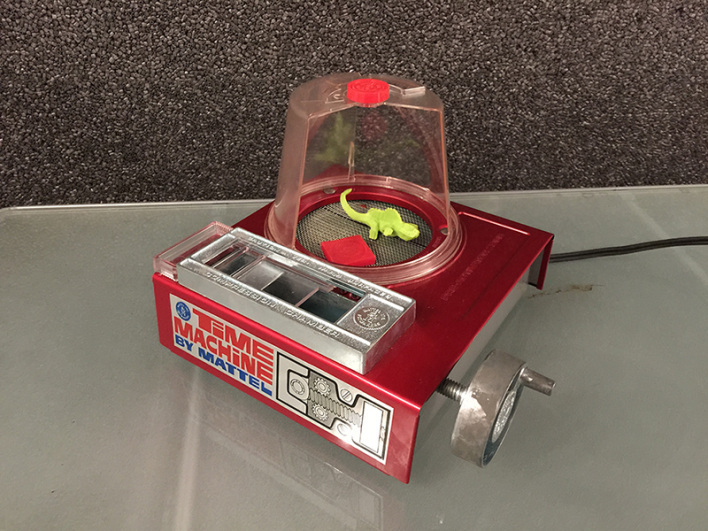 With tears in my eyes, I sadly purchased some crappy Hot Wheels, a lava lamp and…it doesn’t matter. 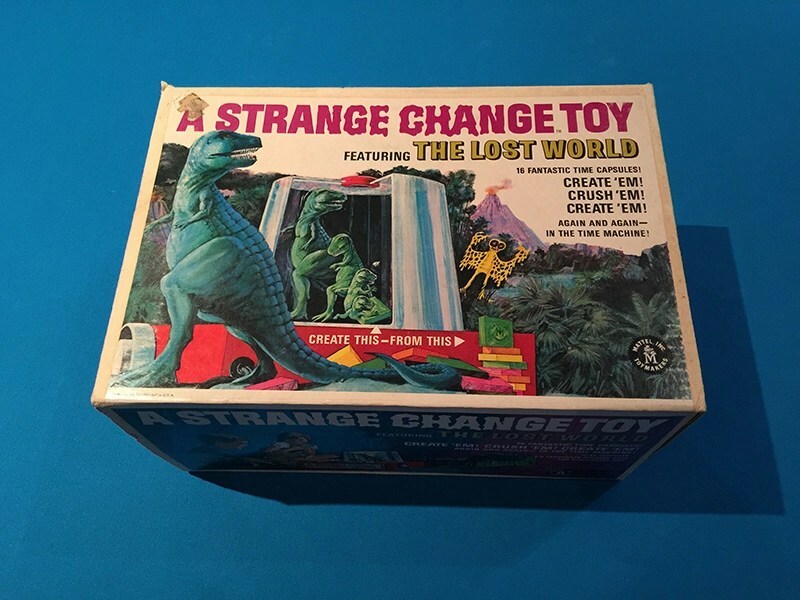 Though I thought about the Strange Change Toy often, I didn’t see one again for another 35 years. I purchased it on ebay and I let it sit unopened on my desk for 3 days in fear of disappointment. Far too many times I’d acquired something from my childhood, that I didn’t understand how I had lived without, only to be let down by its uselessness. I love you Strange Change Toy…and I will never let you go again.